Click the Sales Order menu. To fetch the new orders from Newegg.com, click the Fetch Newegg Orders button. 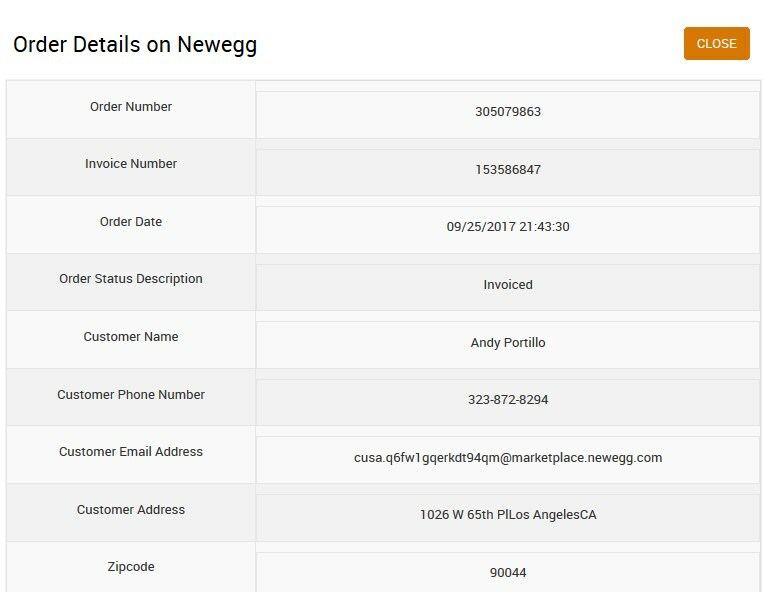 The new orders if available are fetched from Newegg.com and are listed on the page and a success message appears. If the new order is not created on Newegg, then the relevant message appears on the page. To synchronize all orders, click the Synchronize Newegg Orders button. The orders are synchronized and a success message appears. To synchronize order status, click the Sync Order Status button. The order status synchronization process is executed the order status appears in the ORDER STATUS DESCRIPTION column. Scroll down to the required sales order. In the respective row of the sales order, click the View icon. All the details of the current order appear on this page. In the respective row of the sales order, click the Refund icon. In the Action column, click the View icon. The Order Details on Newegg page appears.